The Basil crates are available in two sizes with a 25 l and 50 l capacity. 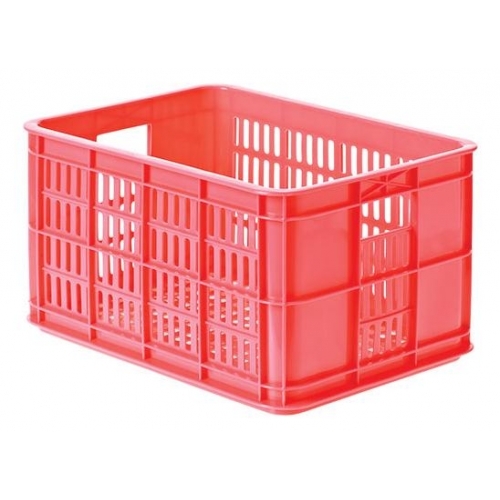 They are ideal for use on either a Steco or Basil front rack. 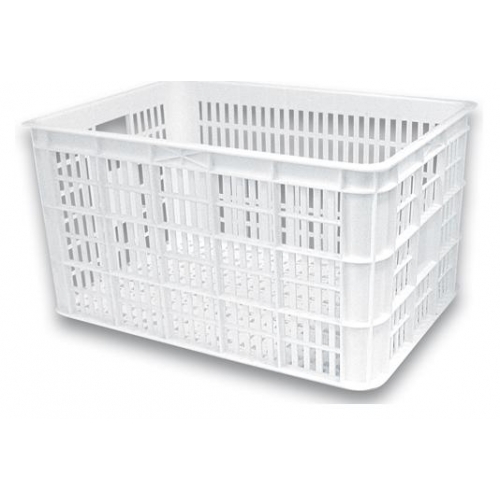 The 25 l size measures 40 cm wide by 30 cm front to back and 21 cm tall. 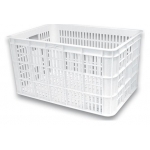 The 50 l size measures 49 cm wide by 36 cm front to back and 28 cm tall. In the additional photos you can see the 50 l size crate mounted on a Steco rack. 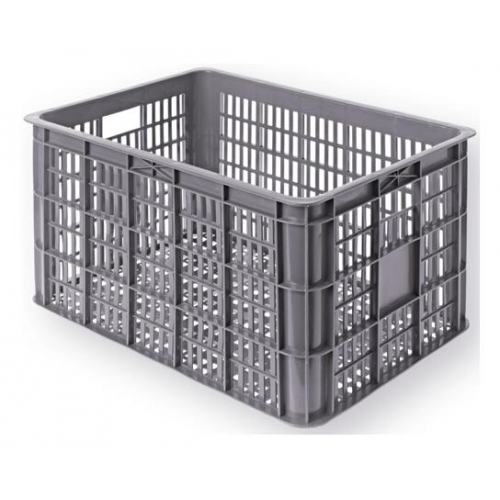 If you need a larger and more robust crate than this, then see the Steco Folding Crate. 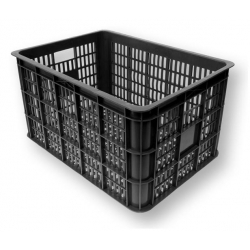 To carry a crate like this on the rear of your bike, consider adding a Steco Krat-Mee.